The latest UN Secretary General situation report on piracy in Somalia is now before the UN Security Council. The report provides an overview and an update on the most relevant anti-piracy initiatives in Somalia and the Gulf of Aden. During 2013, piracy has continued to be a major issue on the agenda of the UN and EU, NATO, several regional and other interested states as well as a number of specialized agencies, such as the UNODC, DPA, IMO, INTERPOL and FAO among others. Specific and ad hoc mechanisms and organizations, such as the Kampala Process, the Contact Group, the Djibouti Code of Conduct, the Trust Fund, the Hostage Support Program and a number of international conferences have proven instrumental in the fight against piracy. It has been widely reported how incidents of piracy in the region are now at a seven years low. It is also no mystery how these positive developments are due to a multitude of factors, including the effectiveness of the international maritime patrol missions, the best management practices and the use of private armed guards in deterring piracy attacks, as well as the implementation of the “prosecution chain”, by which suspected pirates are apprehended, tried in courts of regional states and eventually transferred in Somaliland and Puntland to serve any imposed sentence. The Security Council is expected to agree with the Secretary General’s recommendation that the international anti-piracy efforts underway in Somalia continue for at least another year. The obvious question is how long the international community will be willing and capable to continue financing its costly patrol missions, particularly given the waning threat (or risk of attacks). The question also arises on the cost-efficiency of private armed guards on board ships travelling in the region. 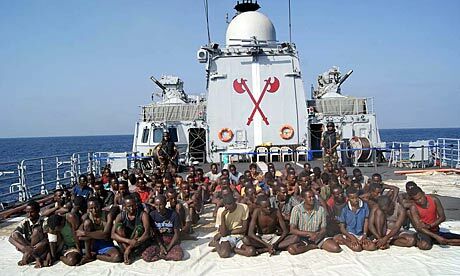 The repression of piracy in the Gulf of Aden does not, however, solely depend upon these initiatives. The fight against piracy which started as an armed response, has progressively expanded into an integrated system that encompasses respect and promotion of human rights and the rule of law, governance, economic development, capacity building, treatment of juvenile pirates, alternative employment opportunities and legislative reform. In addition, environmental protection and exploitation of natural resources in the region are also being monitored. Even if the piracy drought continued in 2014, these initiatives are likely to be further stepped up and take center stage towards long-term solutions for Somalia’s future. Although we have been careful not to conflate terrorism with piracy, the impetus to continue these programmes also arises from the continued threat of terrorism originating in and/or targeting Somalia. The Italian Marines upon their initial return in Italy in December 2012. Will they remain for good? 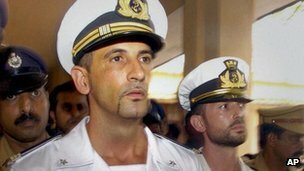 The recent decision of the Italian Government not to return two Italian marines to India for trial in connection with the killing of Indian fishermen is heightening tensions between Italy and India and is spawning an international diplomatic fallout. Since its inception, the case attracted much debate and conjecture, both by the media but also by specialized political and legal commentators. We have provided our point of view, for instance here and here. In essence, Italy and India disagree on who has jurisdiction to try the Italian marines. Each of their respective arguments is premised on international law, notably the United Nations Convention on the Law of the Sea, as well as municipal law. India contends that it has jurisdiction to try the marines because (1) the victims were Indian nationals, (2) the victims were killed on an Indian ship and (3) the incident occurred within India’s Contiguous Zone, which extends beyond its territorial waters. 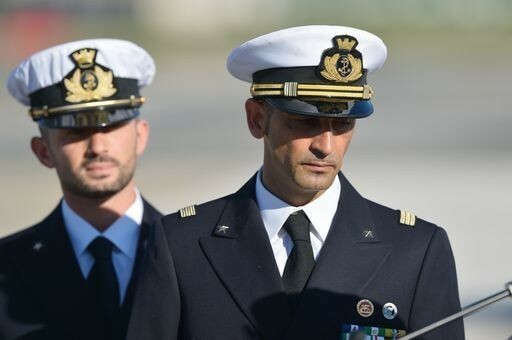 For its part, Italy claims it has jurisdiction to try the pair because (1) they are Italian citizens; (2) they were deployed as a Vessel Protection Detachment on the Italian ship Enrica Lexie and (3) the incident occurred within international waters. Worthy of note is that both countries, separately but concurrently, have indeed initiated criminal proceedings against the marines before their internal judicial systems. Recently, the Italian government formally clarified that since the issuing of the Indian Supreme Court decision in January 2013 in this matter, indicating that the marines shall be tried by a special chamber set up within the Indian judicial system, it has pursued the cooperation of the Indian government under Articles 100 and 283 of UNCLOS for a settlement of this matter under international law. From a formal point of view, therefore, the actions of the Italian government are an attempt to bring the question of which State has jurisdiction to try the marines within the legal framework of UNCLOS provisions related to the settlement of disputes. UNCLOS builds on the commitment by all United Nations Members States to settle their international disputes by peaceful means in such a manner that international peace and security are not endangered. In particular, one of the main characteristic of UNCLOS and its dispute settlement system is the possibility for a State Party to unilaterally trigger the compulsory and binding jurisdiction of certain judicial institutions for the resolutions of such disputes. Given UNCLOS comprehensive reach, the range of controversies subject to resolution varies, and includes issues relevant to seabed and maritime delimitation, navigation, fisheries and the environment, etc. Part XV of UNCLOS requires States Parties to first attempt to settle any dispute between them by peaceful means and seek a solution in compliance with the United Nations Charter (Articles 279-280). Importantly, States Parties can agree to seek the settlement of the dispute by peaceful means of their own choice (Article 281), including recourse to general, regional or bilateral agreements (Article 282). Parties also have an obligation to exchange views on the possible settlement (Article 283) and can decide to submit the dispute to a non-binding conciliation (Article 284). Where, however, no settlement has been reached, UNCLOS stipulates that the dispute must be submitted at the request of either party to the dispute to a court or tribunal having jurisdiction in this regard (Article 286). The relevant rules contained in Part XV of UNCLOS are quite complex and foresee the possibility of seeking relief before different fora, depending on the subject matter of the controversy, also setting forth a series of exceptions and opt-outs. With regard to controversies akin to that concerning the Enrica Lexie incident, Article 287 of UNCLOS defines available courts or tribunals as the International Tribunal for the Law of the Sea, in Hamburg (ITLOS), or the International Court of Justice, in the Hague (ICJ). In ratifying the UNCLOS, Italy already declared its acceptance of the jurisdiction of either of these institutions as binding, while India reserved its rights to any such declaration. Alternatively, the parties might choose to refer the unsettled dispute to an ad hoc arbitral tribunal. A Party to a dispute not covered by a declaration in force shall be deemed to have accepted arbitration. If the parties to a dispute have not accepted the same procedure for the settlement of the dispute, this may be submitted to arbitration unless the Parties otherwise agree. Finally, any decision rendered by a court or tribunal having jurisdiction over the dispute shall be final and shall be complied with by all the parties to the dispute (Article 296). Arguably, the positions of the two States on this matter have not been more discordant. Italy’s sudden decision not to return its marines to India is premised on a change in circumstances following the perceived lack of cooperation by the Indian authorities in resolving the dispute in accordance with international law. This in itself is considered by the Italian government as a dispute on the scope of application of UNCLOS. The Indian government, on the other hand, has reacted strongly and called the Italian decision “unacceptable”. The Indian Supreme Court is currently precluding the Italian Ambassador, who acted as a guarantor for the return of the marines to India, from leaving the country. While it is unclear whether the Italian Ambassador has any immediate intention to leave India, the Indian Supreme Court should be cognizant of the Vienna Convention on Diplomatic Relations (1961) which provides in Article 29 that the person of a diplomatic agent shall be inviolable. The Indian Supreme Court appears to misconstrue the Italian ambassador as a personal guarantor for the return of the marines, rather than a diplomatic agent of the Italian government. The two states maintain irreconcilable positions. India needs Italy to return the marines back on its soil to eventually commence a meaningful trial before its courts, while Italy needs India to comply with its international rogatory requests to complete its investigations into the matter, thus relaxing the jurisdictional dispute by bringing the marines to trial before its own courts. The recent adjudication by the International Court of Justice in the Hissène Habré case provides useful guidance on the expected complexities of instances where the Parties cannot agree to settle their differences. The judgment of the Court in this case, particularly the findings concerning its admissibility, reveals several years of diplomatic exchanges between Belgium, which petitioned the Court, and Senegal, which was accused of neither prosecuting nor extraditing Mr. Habré, the former President of Chad, based on violations of the Convention Against Torture. 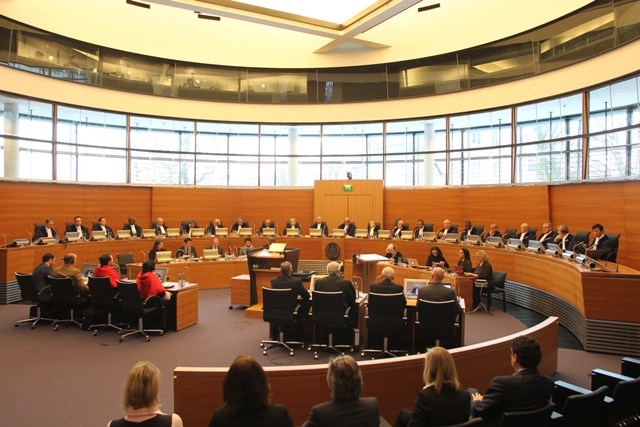 The ICJ decision in Habre includes, in the first place, lengthy discussions on whether a disagreement occurred among the Parties, whether this could not be settled by them and whether the jurisdiction of the Court had been triggered. Paradoxically, the divergences between Italy and India might facilitate recourse to compulsory jurisdiction with ITLOS or the ICJ. The route between New Delhi and Rome in the resolution of the Enrica Lexie incident therefore might pass through Hamburg or The Hague. The voyage is far from clear and it will continue to be a perilous one. We are pleased to welcome Milena Sterio as a contributing author to Communis Hostis Omnium. She is an Associate Professor at the Cleveland-Marshall College of Law, where she teaches international law and international criminal law. She has published numerous articles on the topic of maritime piracy, and she frequently lectures on this topic. She is a member of the Piracy Working Group, an expert think tank founded by members of the prominent non-governmental organization, the Public International Law and Policy Group. In her capacity as Piracy Working Group member, she traveled to the Seychelles and to Mauritius, where she consulted with local prosecutors and judges on best strategies toward successful national piracy prosecutions. This decline in piratical activity off the east cost of the African continent is most likely due to several factors. First, the Gulf of Aden and other waters of the Indian Ocean have been more heavily patrolled by joint maritime forces of several nations, including European Union and NATO-led fleets. The presence of naval forces in these waters has deterred some pirates from attempting attacks on merchant ships. Second, many merchant and passenger cruise ships sailing off the east coast of Africa have been staffed with armed security guards. Statistics show that no successful pirate attack has ever occurred against a ship protected by armed guards. Third, Somali pirates seemed to engage in the crime of piracy because it represented a lucrative business opportunity, which posed minimal risk and promised tens of thousands of dollars in financial gains. Today, piracy is a more risky endeavor, because of the presence of naval fleets in the Indian Ocean as well as armed guards aboard ships. Thus, Somali pirates may seem willing to abandon this criminal enterprise in order to possibly explore other kinds of opportunities. Yet, although piracy seems to be declining off the east coast of Africa, the opposite is true for the west coast of the African continent. Piracy in the Gulf of Guinea, home to major oil-producing states such as Nigeria, Angola, Equatorial Guinea, Gabon and Ghana, has been on the rise. 34 piracy incidents were recorded between January and September 2012, up from thirty in 2011. Togo reported more attacks in 2012 than in the previous five years combined, with three vessels hijacked, two boarded and six attempted attacks. Piracy has also been on the rise in Benin. In addition, Nigeria reported over twenty attacks in 2012. And on February 3, 2013, a French oil tanker was reported missing off the Ivory Coast; according to the International Maritime Bureau, the ship was probably pirated off the shores of Nigeria. The piracy model in the Gulf of Guinea resembles its counterpart in the Gulf of Aden in terms of the pirates’ modus operandi: in West Africa, pirates sail out to the sea on larger vessels but then launch attacks using smaller skiffs. In addition, pirates in West Africa seem to be resorting to this crime because of factors similar to those that have existed in Somalia for several decades: insecurity, poverty, as well as a lack of education and employment opportunities. However, while Somali pirates seemed mostly after collecting ransoms from shipping companies in exchange for the crew and cargo, pirates in West Africa seem more interested in keeping the cargo (mostly oil) of any successful hijacking operations, which they then sell on the black market. Reports also indicate that pirates in the Gulf of Guinea are more prone to violence, and that they act in more brutal ways toward the captured crewmembers. And because the Gulf of Guinea is a rich oil-producing region, its strategic importance, and thus the necessity of curbing the rising piracy threat, may be even greater than the piracy menace in the Gulf of Aden had ever been. Unsurprisingly, like in the case of Somali piracy, the United Nations Security Council has become involved in finding solutions for this developing regional crisis. On February 29, 2012, the Security Council adopted resolution 2039 calling on the Secretary-General to “support efforts towards mobilising resources following the creation of the regional strategy to assist in building national and regional capacities in close consultation with states and regional and extraregional organizations.” Furthermore, on October 31, 2012, the United Nations Security Council, in resolution 2018, condemned all acts of maritime piracy and armed robbery at sea in West Africa’s Gulf of Guinea and encouraged states in the region to work together toward a comprehensive response to the menace of piracy. The Security Council, in this unanimously adopted resolution, encouraged several regional organizations (the Council encouraged the Economic Community of West African States (ECOWAS), the Economic Community of Central African States (ECCAS) and the Gulf of Guinea Commission (GGC)) to jointly develop a strategy against maritime piracy. Such joint strategy could entail the drafting of more comprehensive domestic laws which would criminalize piracy and armed robbery at sea, as well as the development of an information-sharing regional center. Moreover, the regional anti-piracy efforts could include the development of domestic laws which would implement international agreements existing in the field of international maritime law. In addition, ECOWAS, ECCAS and GGC could engage in bilateral or regional maritime patrols in the Gulf of Guinea, in order to ensure the safety of maritime navigation and thwart potential piratical attacks. Finally, the Security Council urged member states of ECOWAS, ECCAS, and GGC to cooperate with other states, such as states where ships are registered, and states where victims or perpetrators come from, in the prosecution of pirates as well as of piracy facilitators and financiers, in accordance with applicable international law. The Security Council thus encouraged all states in the international community to assist countries in the region in strengthening anti-piracy efforts in the Gulf of Guinea. Like the Security Council, the Secretary-General, Ban Ki-moon, has also expressed his intention to focus on the piracy problem in the Gulf of Guinea, by deploying a United Nations assessment mission to the region in order to explore options on how to best address the problem. According to the Secretary-General, piracy in the Gulf of Guinea could hinder economic development and undermine security in the region. Within the next few months, the Security Council expects a briefing from Said Djinnit, the Secretary-General’s Special Representative and head of the UN Office for West Africa (UNOWA), on the Secretary-General’s semi-annual report, including an update on the Gulf of Guinea piracy problem. The international community will have hopefully learned from the Gulf of Aden piracy epidemic, which seems to have been successfully curbed through coordinated international maritime efforts, that anti-piracy efforts in the Gulf of Guinea will similarly require international and regional strategy and a comprehensive anti-piracy plan. The trial of about 120 Somalis in India is encountering significant obstacles, including difficulty finding qualified Somali-speaking interpreters, procuring deposition evidence from victims, and dealing with the sheer volume of cases on backlog. India’s navy has been very active in helping to patrol the seas off the coast of Somalia. It also recently used its turn as President of the Security Council to put the fight against worldwide piracy at center stage. Perhaps because of its pro-active approach, India has taken into custody a large number of suspected pirates. As we have seen in any number of western countries taking up piracy prosecutions, there are substantial challenges that come with prosecuting Somalis in a transnational setting. This is not to mention the legal obstacles faced by countries attempting to revive centuries old laws to address the resurgence of this type of criminality. As we surveyed in 2011, India’s legal framework for piracy required updating. Video-link testimony and interpretation, in addition to, a more active foreign office might assist the prosecutions in these cases. Of course, all of these solutions require resources and technological capacity. This is true whether prosecutions move forward in the Netherlands, the U.S. or in India. 97. In my view, since India is a signatory, she is obligated to respect the provisions of UNCLOS 1982, and to apply the same if there is no conflict with the domestic law. In this context, both the countries may have to subject themselves to the provisions of Article 94 of the Convention which deals with the duties of the Flag State and, in particular, sub-Article (7) which provides that each State shall cause an inquiry to be held into every marine casualty or incident of navigation on the high seas involving a ship flying its flag and causing loss of life or serious injury to nationals of another State. It is also stipulated that the Flag State and the other State shall cooperate in the conduct of any inquiry held by that other State into any such marine casualty or incident of navigation. 98. The principles enunciated in the Lotus case (supra) have, to some extent, been watered down by Article 97 of UNCLOS 1982. Moreover, as observed in Starke’s International Law, referred to by Mr. Salve, the territorial criminal jurisdiction is founded on various principles which provide that, as a matter of convenience, crimes should be dealt with by the States whose social order is most closely affected. However, it has also been observed that some public ships and armed forces of foreign States may enjoy a degree of immunity from the territorial jurisdiction of a nation. 99. This brings me to the question of applicability of the provisions of the Indian Penal Code to the case in hand, in view of Sections 2 and 4 thereof. Of course, the applicability of Section 4 is no longer in question in this case on account of the concession made on behalf of the State of Kerala in the writ proceedings before the Kerala High Court. However, Section 2 of the Indian Penal Code as extracted hereinbefore provides otherwise. Undoubtedly, the incident took place within the Contiguous Zone over which, both under the provisions of the Maritime Zones Act, 1976, and UNCLOS 1982, India is entitled to exercise rights of sovereignty. However, as decided by this Court in the Aban Loyd Chiles Offshore Ltd. Case (supra), referred to by Mr. Salve, Sub-section (4) of Section 7 only provides for the Union of India to have sovereign rights limited to exploration, exploitation, conservation and management of the natural resources, both living and non-living, as well as for producing energy from tides, winds and currents, which cannot be equated with rights of sovereignty over the said areas, in the Exclusive Economic Zone. It also provides for the Union of India to exercise other ancillary rights which only clothes the Union of India with sovereign rights and not rights of sovereignty in the Exclusive Economic Zone. The said position is reinforced under Sections 6 and 7 of the Maritime Zones Act, 1976, which also provides that India’s sovereignty extends over its Territorial Waters while, the position is different in respect of the Exclusive Economic Zone. I am unable to accept Mr. Banerji’s submissions to the contrary to the effect that Article 59 of the Convention permits States to assert rights or jurisdiction beyond those specifically provided in the Convention. 100. What, therefore, transpires from the aforesaid discussion is that while India is entitled both under its Domestic Law and the Public International Law to exercise rights of sovereignty up to 24 nautical miles from the baseline on the basis of which the width of Territorial Waters is measured, it can exercise only sovereign rights within the Exclusive Economic Zone for certain purposes. The incident of firing from the Italian vessel on the Indian shipping vessel having occurred within the Contiguous Zone, the Union of India is entitled to prosecute the two Italian marines under the criminal justice system prevalent in the country. However, the same is subject to the provisions of Article 100 of UNCLOS 1982. I agree with Mr. Salve that the “Declaration on Principles of International Law Concerning Family Relations and Cooperation between States in accordance with the Charter of the United Nations” has to be conducted only at the level of the Federal or Central Government and cannot be the subject matter of a proceeding initiated by a Provincial/State Government. 101. While, therefore, holding that the State of Kerala has no jurisdiction to investigate into the incident, I am also of the view that till such time as it is proved that the provisions of Article 100 of the UNCLOS 1982 apply to the facts of this case, it is the Union of India which has jurisdiction to proceed with the investigation and trial of the Petitioner Nos.2 and 3 in the Writ Petition. The Union of India is, therefore, directed, in consultation with the Chief Justice of India, to set up a Special Court to try this case and to dispose of the same in accordance with the provisions of the Maritime Zones Act, 1976, the Indian Penal Code, the Code of Criminal Procedure and most importantly, the provisions of UNCLOS 1982, where there is no conflict between the domestic law and UNCLOS 1982. The pending proceedings before the Chief Judicial Magistrate, Kollam, shall stand transferred to the Special Court to be constituted in terms of this judgment and it is expected that the same shall be disposed of expeditiously. This will not prevent the Petitioners herein in the two matters from invoking the provisions of Article 100 of UNCLOS 1982, upon adducing evidence in support thereof, whereupon the question of jurisdiction of the Union of India to investigate into the incident and for the Courts in India to try the accused may be reconsidered. If it is found that both the Republic of Italy and the Republic of India have concurrent jurisdiction over the matter, then these directions will continue to hold good. The Judgement is something of a compromise as it takes jurisdiction away from the state of Kerala where local press were decidedly one-sided in their evaluations of the parties at fault. The trial will take place in Delhi where the marines might have a better chance of receiving a fair trial. However, the judgement rejects Italy’s claim to exclusive criminal jurisdiction in this case. The Supreme Court’s reading of the Lotus case in view of UNCLOS is crucial and merits further analysis. We hope to provide further analysis soon. Liability for the Destruction of Suspected Pirate Skiffs? In one of their latest reported joint anti-piracy operation, EUNAVFOR and Combined Task Force 151 announced the disruption of potential piracy attacks off the Somali coast. In November 2012, the Romanian frigate ROS Regele Ferdinand, under EUNAVFOR command, and Turkish warship TCG Gemlik, of Combined Task Force 151, apprehended nine suspected pirates at sea off the coast of Somalia. Earlier, a Swedish EUNAVFOR maritime patrol aircraft located the skiff at 420 nautical miles east of Mogadishu, an area known for pirate activities. At the scene, the TGC Gemlik sent a boarding team to intercept and search the suspected vessel, which for over an hour tried to evade capture. The suspected pirates were then embarked onto the ROS Regele Ferdinand for futher questioning and evidence collection to assess the possibility of their prosecution. No fishing supplies were found on board, while it remains unclear whether the suspects were armed. Shortly after their apprehension, the suspected pirates were released onto a Somali beach for lack of sufficient evidence to proceed to their prosecution. According to EUNAVFOR, despite the strong suspicion that it was a pirate boat, it was determined that there was not sufficient evidence to build a case and prosecute the suspected pirates, as they were not caught actually committing any crime. In additon, building a case against the suspects would be too time-consuming and onerous. However, their skiff and other effects on board, including fuel and ladders, were instead destroyed. According to EUNAVFOR, this will prevent the suspected pirates from using the skiff to attack ships in the future. By means of example, this incident, by no means uncommon, raises the question of the diffferent evidentiary grounds and standards of proof for the prosecution of suspected pirates and the destruction of boats and equipment belonging to them. While the destruction of a pirate vessel can prevent the perpetration of further piracy attacks, the sinking of a fishing boat, however small, might put a strain to the fishermen’s livelihoods. Article 106 of UNCLOS (and Article 110(3)) provides for the possible liability for any loss or damange caused by the seizure of a suspected pirate ship when effected without adequate grounds. Where the seizure of a ship or aircraft on suspicion of piracy has been effected without adequate grounds, the State making the seizure shall be liable to the State the nationality of which is possessed by the ship or aircraft for any loss or damage caused by the seizure. What are the grounds for the seizure and destruction of suspected pirate vessels and how do these differ from those provided for the arrest and prosecution of suspected pirates? In this regard, the legal framework applicable to the contrast to piracy, particularly in Somalia, needs some additional clarification and interpretation. UNCLOS explicitly provides only for a right of visit when there are reasonable grounds for suspecting that a ship is engaged in piracy (Article 110) and for a right of hot pursuit of a ship into the high seas only when there are good reasons to believe that a violation was committed (Article 111). The SUA Convention, its additional protocol, as well as the Djibouti Code of Conduct also contain references to various evidentiary thresholds, mainly reiterating the principles above contained in UNCLOS relevant to cooperation, rights of visit and liability for loss or damage. Given the limited role played by EUNAVFOR in the investigation and prosecution of piracy, perhaps reference to recent international commissions of inquiry, whose standards are generally lower than those of purely judicial institutions, might also provide for additional guidance. For instance, the International Commission of Inquiry on Darfur acted upon a standard of “reliable body of material consistent with other verified circumstances, which tends to show that a person may reasonably be suspected of being involved in the commission of a crime” (para. 15). Put plainly, the review above shows that a discrete amount of supporting evidence and the mere possibility, rather than the certainty, of the commission of a crime are therefore required to meet the “reasonable suspicion” standard encompassed in Resolution 2077 for the seizure and disposition of suspected pirate skiffs. It is, arguably, an extremely low standard but it demarcates the basic threshold for piracy-disruption activities. Suspecting the commission of a crime, however, falls a long way from having demonstrable proof. While this standard might also be akin to that required for the arrest of a suspected pirate, those necessary to proceed to his investigation and prosecution are increasingly higher and still depend upon factors such as the quantity and the quality of the evidence, as well as the willingness of State actors to proceed. Finally, several questions remain on the suitability and susceptibility of claims of unlawful destruction of vessels to be brought before Somali authorities when adequated grounds for such destruction are missing or in doubt. On December 13, Mohammad Shibin filed an Appellate Brief with the Fourth Circuit Court of Appeals. Shibin was charged with eight crimes, comprising fifteen separate counts, for his alleged role as a hostage negotiator in the hijackings of the Marida Marguerite, a German merchant vessel manned by foreign nationals, and the S/V Quest, an American sailing vessel with Americans on board. At trial, Shibin was convicted of all fifteen counts and sentenced to multiple life sentences plus 120 months in prison. This post will offer a brief summary of the defendant’s arguments followed by even briefer commentary concerning the plausibility of those arguments. On balance, Shibin may have earned himself a retrial on a couple of issues, but he is highly unlikely to escape punishment altogether. Mohammad Shibin shortly after his arrest. Shibin’s first argument on appeal is that the two counts of piracy under 18 U.S.C. §§ 1651 and 2 should be dismissed because, “[i]n what could be characterized as almost indifference to this essential requirement, the government failed to present any evidence that Shibin had at any point committed any act upon the high seas whatsoever” (emphasis in original). In support of this argument, Shibin advances the plain language of § 1651, the legislative history of §§ 1651 and 2, prior lower court opinions on the issue, and customary international law as found in the Harvard Draft Convention and the Geneva Convention on the High Seas. These sources, according to the defendant, all suggest that universal jurisdiction over piracy only exists for those acts committed on the high seas or outside the territorial jurisdiction of any state, and that § 1651 only purpose is to criminalize those extraterritorial acts. I have written a great deal about this argument in the past, and rather than re-hash it all here, I’ll direct readers to this EJIL Talk post and to other on CHO. I will add, however, that I agree that using § 2 to provide for universal jurisdiction over facilitators who act from with a single nation’s territory is impermissible under the Charming Betsy Canon. Ultimately, though, this is an issue that has yet to be fully litigated, so it is anyone’s guess how it will come out in the end. Second, Shibin advances the ambitious argument that all counts should be dismissed because Shibin was improperly brought before the U.S. courts. Shibin rightly notes that a pair of Supreme Court cases, Frisbie v. Collins and Ker v. Illinois, stand for the proposition that “the power of the court to try a person for a crime is not impaired by the fact that he has been brought within the court’s jurisdiction by reason of a forcible abduction.” The Ker-Frisbee doctrine has been endorsed in the face of extradition treaties that were was silent on the propriety of forcible abductions in, inter alia, U.S. v. Alvarez Machainand Kasi v. Angelone. Shibin seeks to distinguish his case by noting that the United States and Somalia do not have an extradition treaty. The lack of such a formalized agreement, according to the defendant, signals the Somali government’s unwillingness to allow foreign officials’ access to their citizens. This argument seems likely to fail with respect to the Marida Marguerite and will almost certainly fail regarding the Quest. In Alvarez Machain, the Court essentially held that silence as to the propriety of forcible transfers renders American courts unwilling to look into the legality of such transfers. This logic seems to suggest that U.S. courts view the right not to be forcibly brought before a U.S. court as a right that a foreign government must affirmatively assert on behalf of its citizens. Somalia’s silence on the matter is therefore likely to be interpreted in a similar fashion, whether or not that silence comes in the context of an extradition treaty. The third argument advanced by the defendant is that all of the non-piracy offenses charged in connection to the Marida Marguerite should be dismissed because they are not crimes of universal jurisdiction. These counts include hostage taking and conspiracy to commit hostage, conspiracy to commit violence against maritime navigation and committing violence against maritime navigation, conspiracy to commit kidnapping and kidnapping. Shibin finds support for this argument in U.S. v. Yousef, 327 F.3d 56 at 104 (holding that universal jurisdiction crimes cannot be created judicially, by analogy, or through references to aspirational treaties or scholarly works). However, this argument ignores the same Charming Betsy Canon upon which the defendant relies in support of his piracy charges. The Charming Betsy Canon states that statutes should not be construed as to violate the law of nations unless Congress manifests its intent to do so. However, 18 U.S.C. § 1203 (hostage taking), 18 U.S.C. § 2280 (violence against maritime navigation), and 18 U.S.C. § 1201 (kidnapping) all contain “found in” or “brought before” provisions stating that the United States shall have jurisdiction over those individuals who are later found in the United States or brought before a U.S. court. Thus Congress provides for some form of qualified universal jurisdiction over hostage taking, violence against maritime navigation, and kidnapping that arguably violates international law. Nevertheless, there is no shortage of precedent stating that courts will uphold such statutes if Congress’ intent is clear. It must be said, tough, that none of this precedent concerns a defendant with no traditional connection to the United States whatsoever, as is the case with Shibin’s charges stemming from the Marida Margueritte. Finally, Shibin challenges the testimony of an FBI agent concerning a translated interview between that agent and Muhamud Salad Ali, one of the individuals who captured the Quest. Shibin argues that the facts surrounding the translation are such that the translator created an additional level of hearsay, and the translator’s absence from trial constitutes a violation of the Federal Rules of Evidence and the Confrontation Clause. In support of his argument, Shibin relies on a four-part test announced in the Fifth Circuit in U.S. v. Martinez-Gaytanand adopted by the Fourth Circuit in U.S. v. Vidacak. At issue in these cases was whether the translator should be considered an out of court declarant or a mere conduit of the in court witness. The four factors to be considered are: 1) which party supplied the translator; 2) whether the translator had a motive to fabricate; 3) the translator’s qualifications and skills, and; 4) whether actions taken subsequent to the translation were consistent with the statement translated. According to Shibin, three of the four factors mitigate in favor of requiring the translator’s presence in court for examination. First, the FBI agent in question described the translator as “an FBI Somali linguist,” suggesting that the government supplied the translator. The second factor – potential motive to fabricate – is neutral, as there is no evidence suggesting bias. Third, there is no basis to determine the translator’s skill, as nobody but the prosecution had access to him or her. Finally, Mr. Salad Ali’s testimony in court directly contradicted that which came out of the earlier translated interview. On balance, Shibin argues, the nature of this particular translation created an additional layer of hearsay that can only be remedied through a re-trial of which the Somali translator would need to be a part. This argument seems plausible on its face, assuming the facts and the law are as the defense brief says they are. Without more research or access to the government’s yet-to-be-filed brief, it is impossible to predict the outcome of this particular argument. I will note, however, that Shibin makes a Confrontation Clause argument that he says should stand regardless of the outcome of the hearsay argument. It seems to me, however, that the hearsay argument and Confrontation Clause argument will rise or fall together. If the translator is deemed a mere conduit of Mr. Salad Ali, the latter of whom was available for confrontation, it would be difficult to argue that the translator’s translation was testimonial.